What a cutie! I love those big blue eyes! She is so dang cute, I love her giggling face! Love her rainbow shirt...and those blue blue eyes! She is one of the MOST BEAUTIFUL little girls I've ever seen. I love your photo skillz! I just wanna squish her! 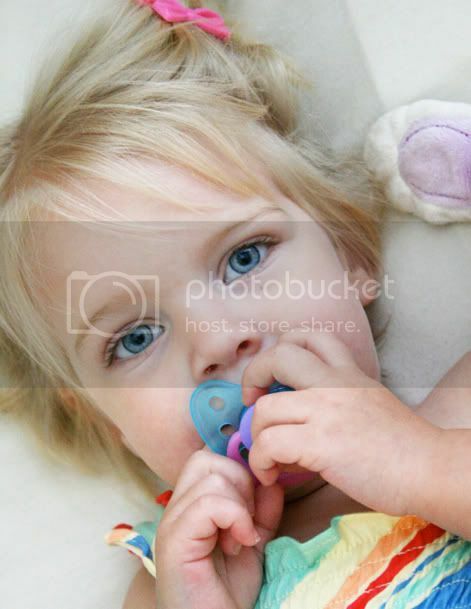 What is it about these little ones with their beloved binky's that makes my heart melt?